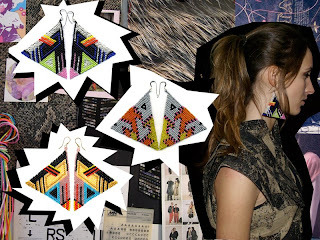 Brokenfab is designed by Fabienne Morel (of Ashish). I am IN LOVE with theses beaded designs. 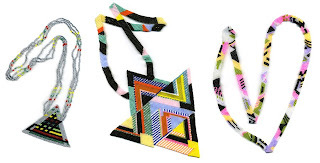 Originally a textile designer, she creates wearable designs which include bracelets, necklaces, earrings, and head brooches. "To brokenfab fashion is an important part of personal style and thus identity in modern culture. 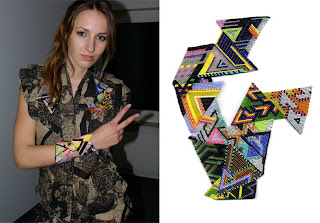 That’s why brokenfab let herself be inspired by the music, club culture, people and todays urban landscape and interpret it in textile design, accessories, fashion and artwork."